Smoking is a vice that is never good for the health. It causes lung and other cancers where the smoke passes through. Both men and woman find smoking hard to resist and both are also susceptible to various diseases caused by smoking. 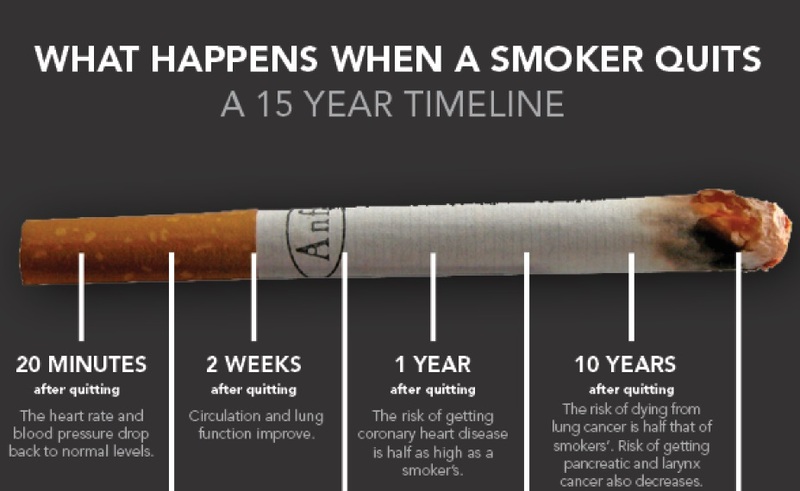 It is hard to stop smoking if you’re doing it for many years and you’ve grown accustomed to it but you also have to think about the health consequences it can give to you in the long run. There are more or less 484,000 smoking-related deaths in the US alone, according to the Disease Control and Prevention. On the other hand, Medical Daily announced that there are about 3,200 Americans ages 18 years old and below who smoke their first cigarette each day. 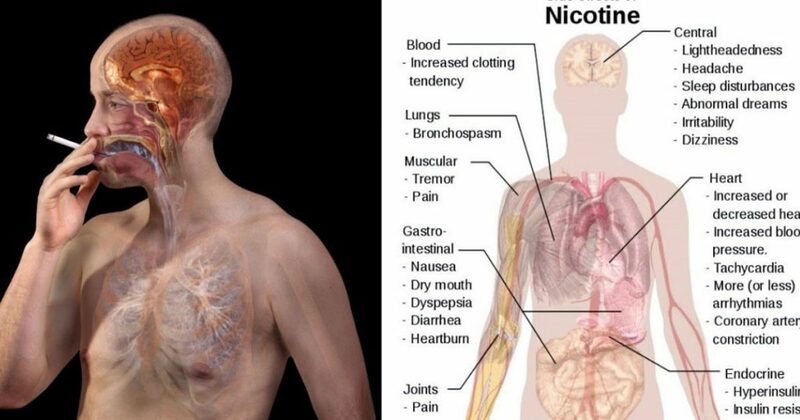 Here’s what can happen to you if you like to smoke tobacco. Cigarette contains cadmium which is also found in batteries, methanse sewer gas, arsenic (a kind of poison), and butane lighter fluid. It also contains ammonia, the chemical used as an ingredient for toilet cleaner, methanol in rocket fuel, stearic acid in candle wax, and hexamine in barbecue lighters. This study from the American Cancer Society tells that there is a drop in heart rate and blood pressure 20 minutes after smoking. After quitting smoking in 2 weeks, your blood circulation will get better and the condition of your lungs will improve. One year after you stop smoking, your chances of getting heart conditions will lower. • Cigarette Brings Back Appetite and Taste in Food, etc. Once smoking stops, it can help the palate taste foods better again. It can also help clear the lungs so breathing is easier. Hair will become shinier and frizz-free while you’ll have a good bowel movement. Quitting smoking is a long and hard process but after you’ve managed to break free from it you’ll see that your whole body will improve. It will become better and you lower your risks of getting various diseases. You can also save a lot of money if you quit smoking because you not only save the money you’re supposed to use for smoking but you also save up for the money you’re supposed to use on medicines in case you get sick from smoking.